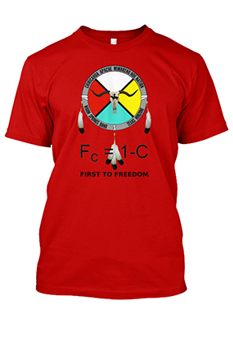 Become a Tribal Citizen Today! 2. WAIT for your enrollment to be recorded. You will receive a Welcome email with further instructions. 3. FOLLOW THE INSTRUCTIONS IN YOUR WELCOME EMAIL to order and Pay $30 for your membership card. 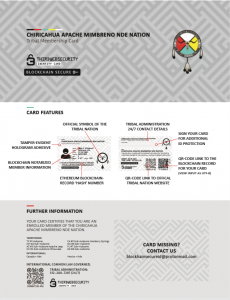 Get your Native Tribal Membership and ID Card Now! You need to pass the DNA and a Background Check. 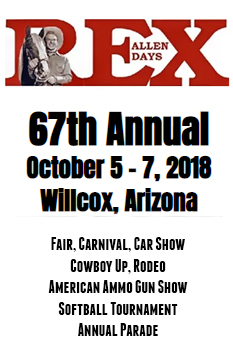 You will be issued a Tribal Membership Number and purchase your Tribal Membership ID card but if your paperwork has not been received by the time your ID card expires you will not be allowed to renew your membership at the same level. 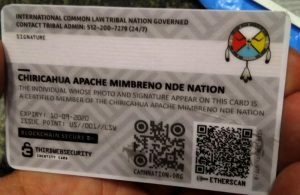 You will receive your TRIBAL MEMBERSHIP ID CARD 2-4 weeks after ordering. If you failed either the Background Check or DNA test, you may request an appeal. The Tribal Council will decide on a case by case basis whether to waive the results of a test. 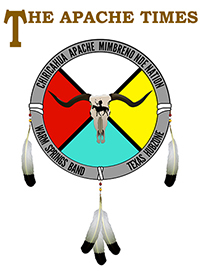 Tribal memberships are approved for 2 years. You must renew your membership every 2 years (by your birthday). 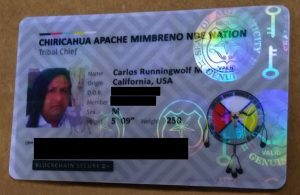 There are currently no requirements in place restricting Global Tribal Membership, however, Tribal Administration reserves the right to revoke this membership if the Global Tribal Member behaves in such a way as to bring hardship or embarrassment to the Chiricahua Apache Mimbreno Nde. Prior approval from Chief Runningwolf is the only requirement for Admin Members. Your status will be verified with the Chief before your application will be approved and your Tribal ID number issued. 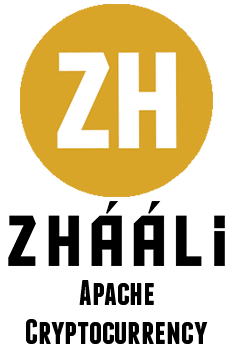 We currently plan to limit our total membership to approximately 25,000 members. DISCLAIMER: Acceptance of membership binds and obligates all members to solely use the Nation’s common law and private administrative process for all redress. All people, whether member or not who wish to engage with the Nation are under the same and subject themselves to the Nation’s legal system.